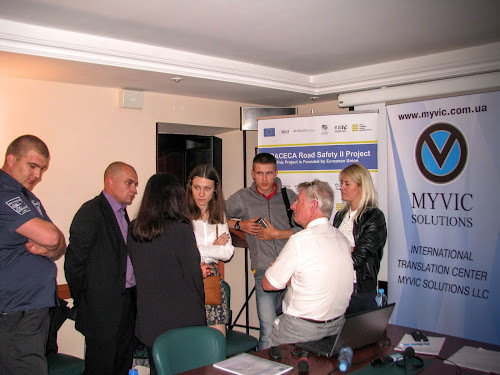 During September 21-22, 2015, Kyiv met an international TRACECA Road Safety II Project. The event was sponsored by the Promotion of Road Safety Fund. British ex-policeman Mike Fell was the speaker of the workshop. 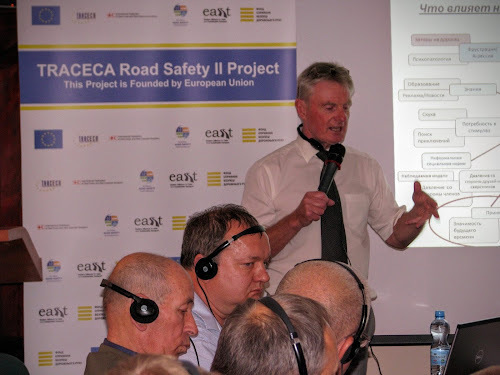 Of course, two days was not enough, but the Briton shared his expertise in road safety in the UK as well as in other countries where he worked. 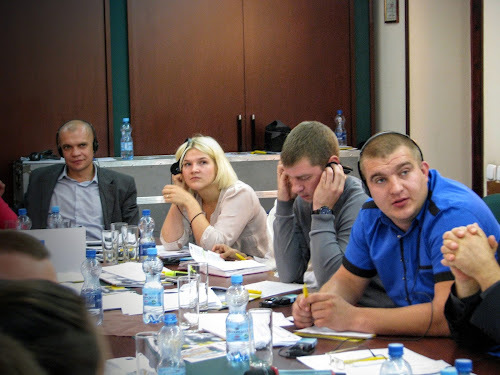 Listeners, police officers of the Ministry of Internal Affairs, held an active discussion. In particular, it was interesting to watch the different vision of experienced representatives of the old police school and the new police patrol in Kiev. 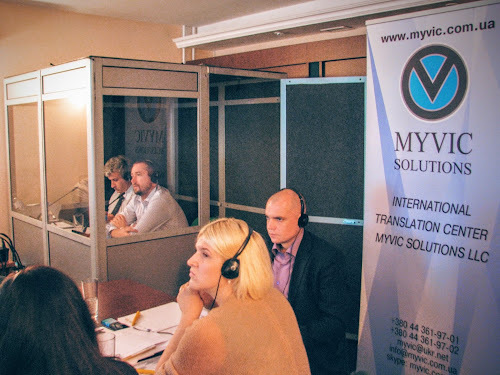 International Translation Center “Myvic Solutions” has provided simultaneous interpretation, and Kiev and London understood each other well. At the end of the seminar, police officers of the Ministry of Internal Affairs received certificates and expressed their hopes that such events would be repeated.